Paris is also home to one of the world's most famous bookshops, Shakespeare & Co. The French capital is a city like no other, so no wonder it also one of the most romanticised cities in literature. From its architecture, food, culture, art, people - ah the mythical Parisienne - and their attitude towards life, Paris will continue to be written about, mused upon and will always be in Vogue. We have picked our top ten favourite books about Paris that include fiction, non-fiction and guides to inspire you on your next trip to Paris. 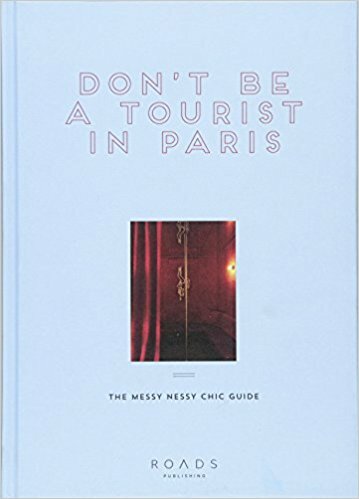 Paris is, of course, often revered just as much for its timeless elegance, as its traditional values, snobbery and nonchalant service, but in New York Times journalist Lindsey Tramuta’s book, she explores a new side of Paris; one that is open-minded, creative, and culturally vibrant. Gone are the days of the baguette tucked under the arm of a bicycling man in a Breton-stripe and stuffy starched white tablecloths; Paris is the centre of a lively cultural renaissance involving food, fashion, and the arts. Tramuta's book is brimming with new and exciting restaurants, cultural spots and profiles of the many inventive Parisians leading this charge. Made complete with photographer Charissa Fay’s gorgeous images, this book belongs in your library. Perfect for: planning an 'off the beaten path' trip to Paris and then best left displayed on your coffee table. This Pulitzer Prize-winning book is set mainly in Paris amidst the tumultuous backdrop of the years before and during the second World War. Doer seamlessly blends the stories of two drastically different childhoods - that of a blind French girl whose father is the master locksmith at Paris' Museum of Natural History and of a German orphan boy with a knack for radio technology and fixing things. The story chronicles the unlikely moment when their paths collide and the mark they make on each others’ lives. It is a beautiful story of humanity, kindness, and strength in a time of great sadness and fear. Perfect for: the Historical Fiction lover looking for a good cry, a rekindled sense of goodness in the world and possibly thinking about booking a day trip to St. Malo. If you want to buy one unusual guide to Paris, make it this one. Vanessa Grall, renowned blogger behind Messy Nessy Chic has gone above and beyond to make Paris easier to navigate - whether you have a 10 hour layover or you are visiting the city with a broken heart. Her bohemian spirit and curious eye for the weird and wonderful play off of each other, to bring you to-do lists that will speak to your soul and have your friends asking to see your Paris itinerary when you get back. Perfect for: the person coming back to Paris for the 2nd, 3rd, or 4th time. If you’ve ever been to Paris, you know that the food is as much a part of the romance as the architecture, style or people. 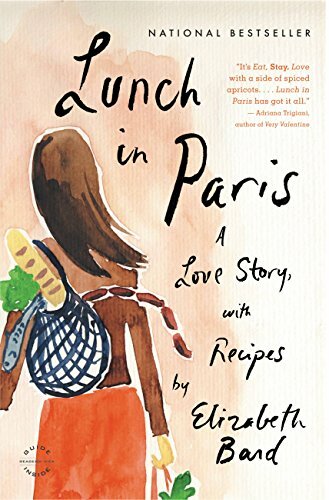 Elizabeth Bard shares just that in her memoir about learning to fall in love with Paris, a sometimes tricky task when faced with admin and French bureaucracy. In between recounting the various stages of culture shock, she shares with us her favorite Parisian recipes so that you can add some French flair to your cooking when you are between visits. Perfect for: easing yourself out of the ‘food culture shock’ that will hit you when you return home. The internationally acclaimed American chef and author, David Lebovitz charts his journey to buying and renovating an apartment in Paris. In a situation full of frustration and cultural differences, he maintains his sense of humour and even shares a few of his favorite new recipes so we can live vicariously through his food and dream of one day owning our own apartment in Paris. Perfect for: interior lovers who like nothing better than bookmarking Airbnbs to stay in on their next trip to Paris. More than just women who live in Paris, À Paris tackles the real question who are these mythical creatures ‘les Parisiennes’? Jeanne Damas, model, photographer, designer and all around it-girl along with journalist Lauren Bastide, attempt to answer this question. Profiling 20 Parisiennes who range from 14-70 years old, they give us an intimate look at the real lives of women who have made the French capital their home. And as if that isn’t enough, these inspirational and intriguing women share with you their favorite restaurants, bakeries, and stores so that you can truly do Paris like a local during your next visit. Perfect for: donning a beret and reading at a table in a corner cafe once you’ve arrived. This classic Hemingway work, published posthumously, is the perfect window into what it was like for him to be a member of the “Lost Generation” of American expats living in Paris after World War One. Truly a wonderful work regarding the sacrifices one makes when they give up an easy life to struggle for their art. Peppered with stories about many of the famous Americans living in Paris of that generation; Gertrude Stein, F Scott Fitzgerald and Ezra Pound among many others, this story is one for the “vintage-Paris” obsessed and shines a light on the formative years of a deeply interesting group of artists. Perfect for: the Paris idealist, the lover of Midnight in Paris, and the person who wants to re-trace Hemingway’s steps in Paris. This charming memoir tells the story of an American woman who falls in love with a French man she meets in London and together they move to Geneva. It takes you along on her sometimes funny, usually complicated, journey of learning and living in a second language and her discovery of the wealth of complexities that make the French language so compelling. Perfect for: the history and language buff eager to learn the intricacies of the French language before their next Parisian adventure. A favorite of many francophiles, this is a funny, satirical and quick-read written by four renowned French Women; a writer, a film producer, an actress and a model. The women discuss their style secrets, beauty routines, and lifestyles in a way that makes them as enviable and iconic as they are ordinary and fallible. 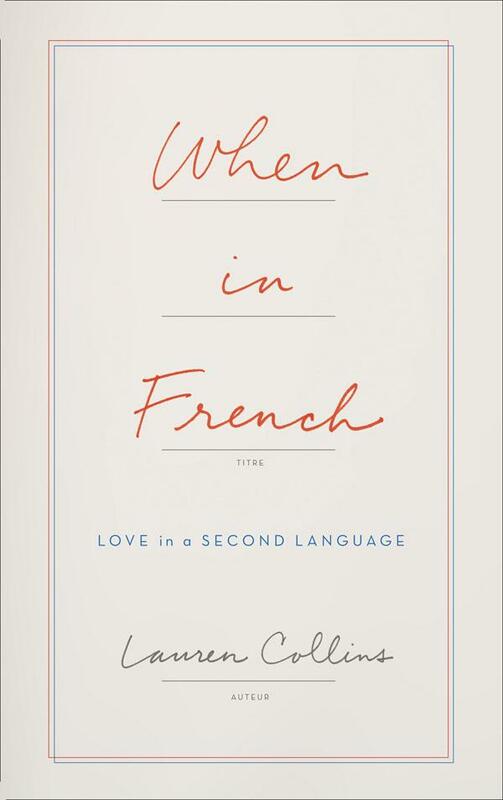 This book will give you a beautiful insight into the often-contradictory, but ever-enthralling French woman and what we can all to do to be a little bit more like her. Paris is the kind of city that is home to a million secret treasures just waiting to be discovered and explored. Around every corner is a new bar or restaurant willing to be tested; every street unique in its charm. It's impossible to experience all of the magic that exists in Paris at once, so breaking it down into specific areas makes it seem more manageable. In her book, New York Times writer, Elaine Sciolino has taken placed her magnifying glass on Rue des Martyrs, a street with a long history and proud tradition, by speaking with its residents and shopkeepers and observing the bustling street life that make it so unique. Perfect for: history buffs, lovers of interviews, and anyone looking for places to buy amazing cheese and wine. Words by Amanda VanOsdol and Marissa Cox.